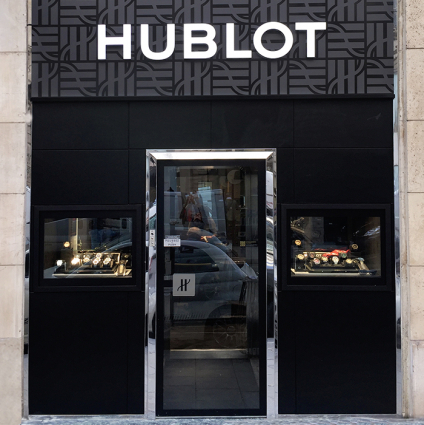 Hublot is establishing a new territory in a bid to take the French capital by storm with its high-tech showcase in the Rue Saint Honoré 271, a tailor-made space devoted entirely to the Art of Fusion. Remaining true to his visionary spirit, Jean-Claude Biver has developed an exclusive sales concept for the new space by offering a range of world premiere models. The first model fully illustrating this state of mind is the Bigger Bang Drive, a revolutionary, upside-down watch in which the genetic codes of watchmaking are turned on their head. Jean-Claude Biver has gone so far as to invert the movement, push-piece and crown. A new vision and a trademark signature for a timepiece that symbolises to perfection the fusion between the art of traditional watchmaking and the art of Hublot, the visionary watchmaker. Originality meeting the needs of precision and comfort.